Sunday, December 9th, 2018, 1 p.m. at the Capitol Center for the Arts. This is a ticketed event. Tickets are available through the Capitol Center for the Arts' website. Due to Ms. Penny's tight travel schedule, this event will include only a limited signing line. 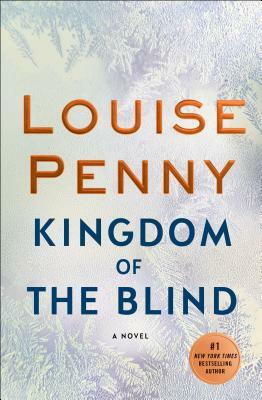 While all copies of Kingdom of the Blind will be signed by Ms. Penny, only 150 special signing line tickets will be available for the meet and greet signing line to get books personalized. These special tickets do not cost extra, but are limited on a first-come-first-serve purchase basis. Ticketing is done through the Capitol Center for the Arts website. Single ticket, signing line: $38.00, includes signed copy of Kingdom of the Blind and access to the meet and greet signing line to get your book personalized. There are only 150 of these available. SOLD OUT. To Order Additional Signed Books: If you would like to reserve additional signed (but not personalized) copies of Kingdom of the Blind or Louise's other books, please order below. Books can be picked up at the event, at the bookshop after the event or mailed to you.